Camping Las Dunas is a beachfront holiday camping site on Spain's Costa Brava, a popular spot for windsurfing and surfing. Comfortable mobile home options make this destination a fabulous location for your next camping holiday. Whether you are relaxing on the beach or exploring one of the scenic cycling and hiking routes nearby, this luxury camping destination will leave you with lifetime memories. Please note: the bungalow tents on this campsite are somewhat outdated. Situated in Sant Pere Pescador on the Bay of Rosas, this award-winning campground has modern amenities and leisure facilities. 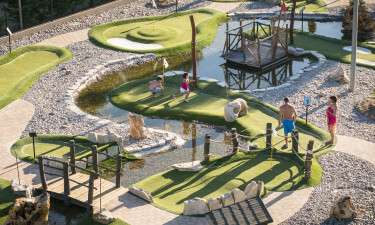 Mini-golf, playgrounds and a kids’ club help keep young campers entertained. There are also five luxurious sanitary blocks with showers and toilets, including facilities designed especially for children. Book your stay at Las Dunas today with LuxCamp! Why Choose Camping Las Dunas? Designed with the comforts of a luxury resort, this campground features shops stocked with everything you need for your stay. 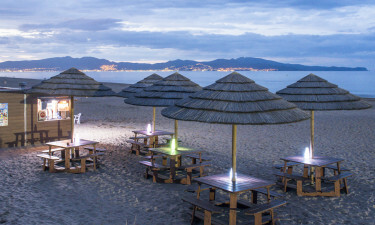 A fantastic restaurant serves fresh dishes and takeout, while a beach bar lets you relax with the sand under your feet. There is also a pub and nightclub for a late-night entertainment. Las Dunas has direct access to a sandy beach on the coast Costa Brava. A coastal path connects the campground to nearby coves and beaches. 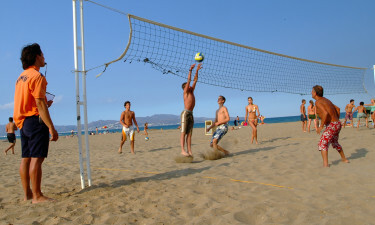 You can enjoy beach volleyball right on the beach, which is next to the basketball courts and a football pitch. 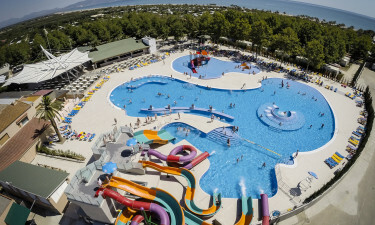 This luxury camping site’s swimming pool has two basins, including a shallow one for little campers. You can soak in the sun and vibrant atmosphere from comfortable deckchairs around the pool. A spacious bar with glass walls is another fantastic spot to enjoy a drink or snack.